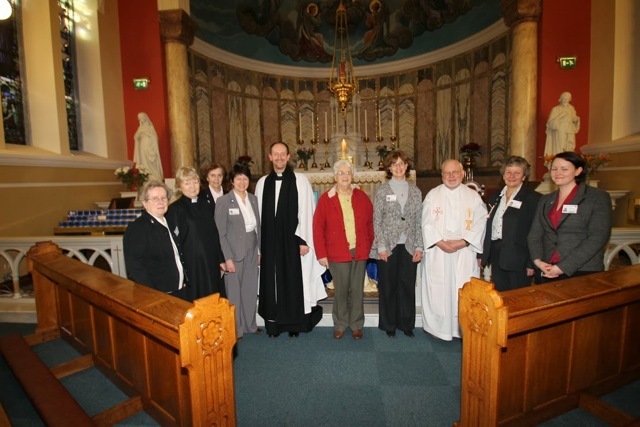 The Chaplaincy Team at the Bon Secours Hospital, Cork celebrated the International Week of Prayer for Christian Unity this year during a short prayer service in the Hospital Chapel which is located at the heart of the Hospital. The Chaplaincy Team representing the Roman Catholic Church, the Church of Ireland and the Methodist Church led the service that was tailored to meet the needs of the hospital community and shared with the hospital community through the hospital television network. The theme for this year from St Paul’s first letter to the Church at Corinth was “Is Christ Divided?”. Our ceremony highlighted the shared nature of ministry provided to all who are ill. This entry was posted in Chaplaincies, Church Services, Diocese, Ecumenism. Bookmark the permalink.